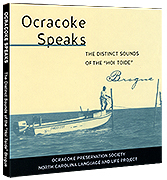 This audio collection preserves one of Ocracoke’s greatest cultural resources-its language, from island lore and remembrances to the distinctive sounds of the “hoi toide” brogue. 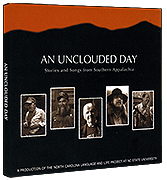 The stories, conversations, songs and music captured in this compilation offer a rare glimpse into the authentic language and life of Southern Appalachia. 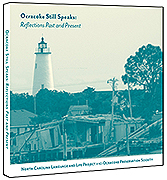 Twenty years after Ocracoke Speaks comes an updated collection of remembrances, reflections and songs capturing the authentic voices and enduring identity of a unique Atlantic sea coast island. Comes with a handsomely bound, fifty-eight page booklet of text, transcripts and photos. 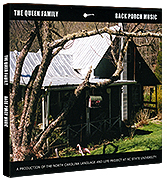 Extending an interest from language spoken to language sung and to music that resonates with identity, these traditional songs and instrumentals convey the bonds of kinship and family in Southern Appalachia.